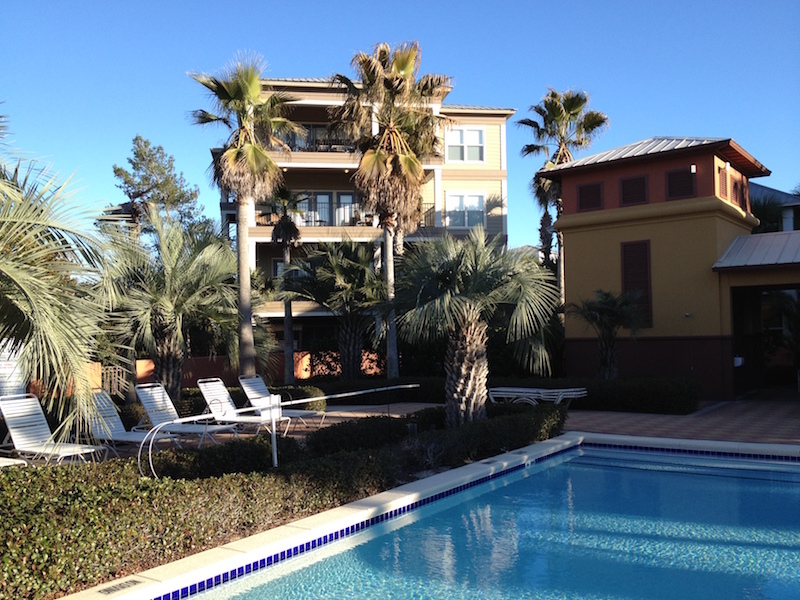 ‘RELAX’ – Nestled in the community of Seacrest Beach is a gorgeous, recently updated condominium overlooking a 12,000 square foot pool with flowing waterfalls. This beautifully decorated, very spacious 2,000 sq ft. 2nd floor condo has 4 bedrooms, 3 1/2 baths and boasts complete state-of-the-art electronics including wireless internet, 5 flat screen TV’s, blue ray DVD, HDMI and access to on-demand Internet streaming media including, Netflix. Our home away from home. This spacious condo was recently renovated and decorated with our personal touch. The kitchen is fully stocked if you choose to stay in and enjoy a great meal on our beautiful deck. We hope you will love our place as much as we do. As owners, we strive to make our home a special place for our guests to relax. What sets us apart? Perhaps, it’s making the extra effort and paying attention to the small things that make a difference to the enjoyment of a stay.